MANILA, Philippines (Mindanao Examiner / Sept. 18, 2011) - Labor group Trade Union Congress of the Philippines urged the Department of Justice to investigate Petron Corporation for extreme acts that have allegedly hampered smaller rivals from freely conducting business. “At the expense of consumers, it seems that Petron now wants to enjoy superior pricing power at the pump by suppressing fair competition,” said TUCP Secretary-General Ernesto Herrera. “We’re afraid Petron has become the new bully in the local oil markets, considering the way it has been tormenting much smaller competitors,” Herrera added. Herrera was responding to reports that Petron has blocked independent player Eastern Petroleum Corporation’s launch of a new “mega station” at the Subic Bay Freeport Zone. 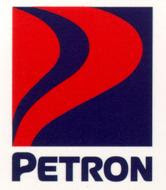 Petron is already facing a complaint for “restraint of trade” filed by Eastern, the leader of the Independent Philippine Petroleum Companies Association that excludes the Big 3 -- Petron, Pilipinas Shell Petroleum Corp., and Chevron Philippines Inc.
Cebu Congressman Eduardo Gullas also complained that owing to Petron’s “unusual dominance” of the liquefied petroleum gas (LPG) market, the oil firm is able to sell its cooking fuel in the Visayas and Mindanao “at prices that are 14 percent higher” compared to those prevailing in Luzon. Petron has emerged as the dominant player in the LPG market, following its acquisition of Chevron’s cooking fuel business. Herrera also assailed Petron, Shell and Chevron for using their business group, the Federation of Philippine Industries Inc. (FPI), to “harass” independent refillers grouped under the LPG Marketers’ Association (LPG/MA). “It is wrongful for FPI to single out and attack LPG/MA, simply because independent LPG refillers happen to be direct business competitors of Petron, Shell and Chevron, which are all FPI members,” Herrera said. FPI has asked the Supreme Court to compel the Commission on Elections to discredit LPG/MA, one of the sectoral groups duly recognized by the poll body for purposes of the party-list system, for supposedly not representing any marginal citizens. Like TUCP, LPG/MA has a representative in Congress through the party-list system. “We must stress that under the Constitution, and under the Party-List System Act, sectors or organized groups of citizens who feel they are not adequately represented in Congress, may seek representation via the party-list system,” Herrera said. He said that even the FPI could aspire to represent the business sector in Congress through the party-list system.